No, not for that reason :-). Monday in Afghanistan certainly ended on a fun note. The USO was in town for the evening. When I was younger, I can still remember Bob Hope visiting the troops. 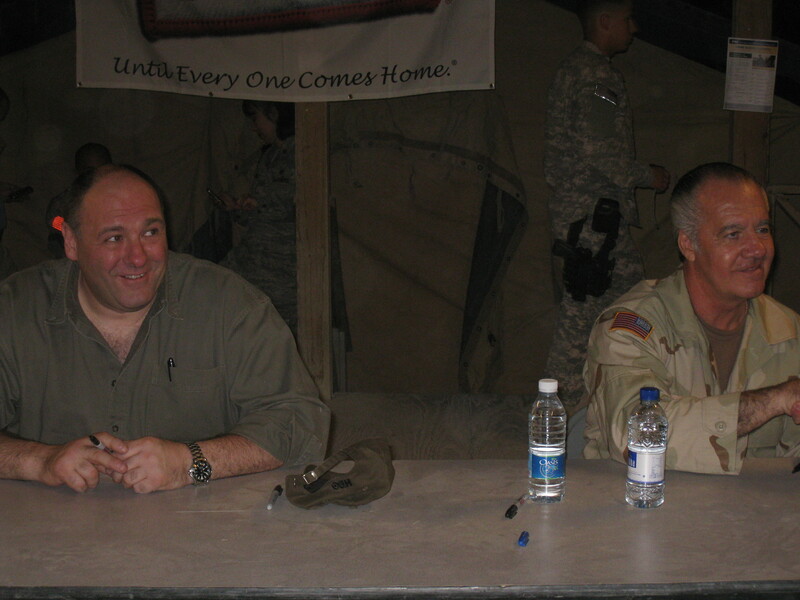 Well, tonight we had a nice surprise as the USO featured James Gandolfini and Tony Sirico, aka “Tony Soprano” and “Paulie Walnuts”! Being a big fan of the show (anyone who is will immediately understand the title of this post), it was very exciting. Both were great; talking, poking fun and signing autographs for everyone. I asked Tony Sirico if there was any chance of the cast getting back together. 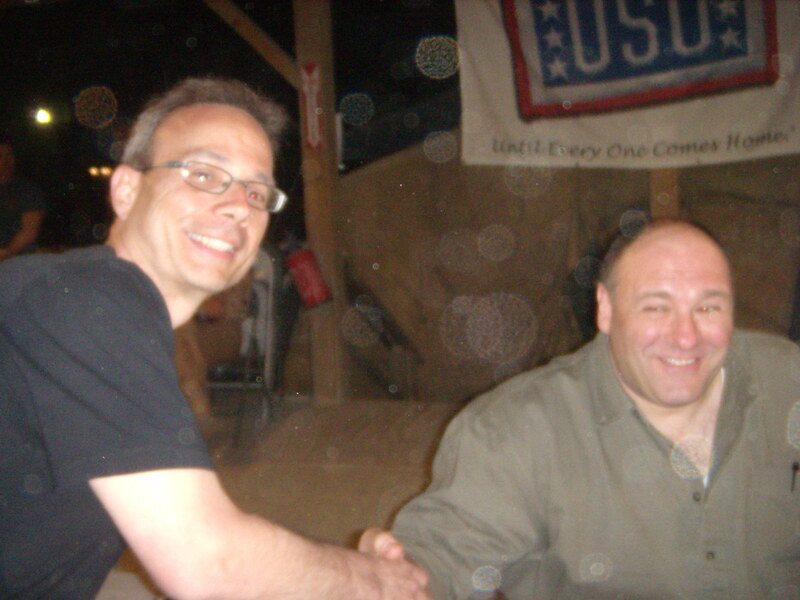 He said that a Sopranos movie was “on, then off, but now looks like it might be back on”. When I asked him if he thought it would happen, Tony said with his “Paulie Walnuts” accent, “I hope so, I need the $#@*! money”. Spoken in true Soprano-ese. When I first saw this title, I thought the military might have issued you a gun. 🙂 I was thinking, uh-oh. Good to hear you’re doing well over there. keep the posts coming. I really enjoy reading them. Be safe! Thanks Mike! BTW, That was my intent! LOL Although I did go back and alter the first line. Did you tell “Tony” you knew where the Bada Bing club was? Hey Bill, Samir just sent me the link to this. Glad you’re safe, and how cool is this!